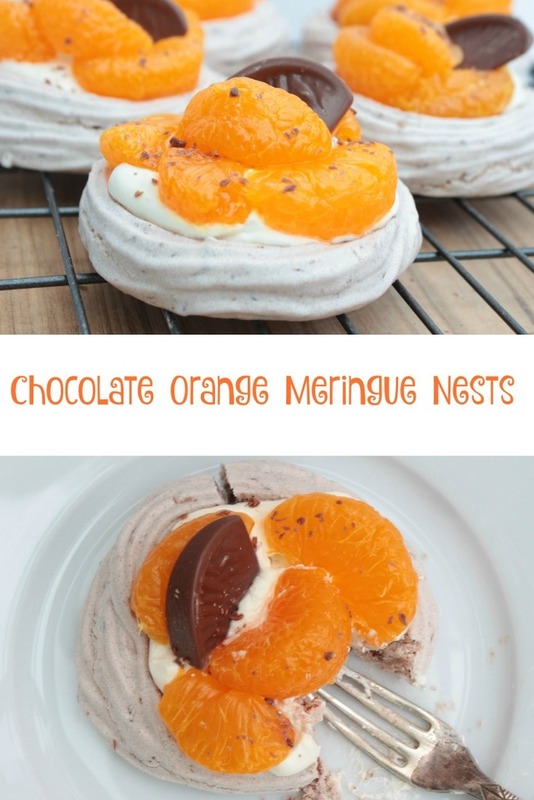 These chocolate orange meringue nests are perfect for any fan of Terry's chocolate orange. 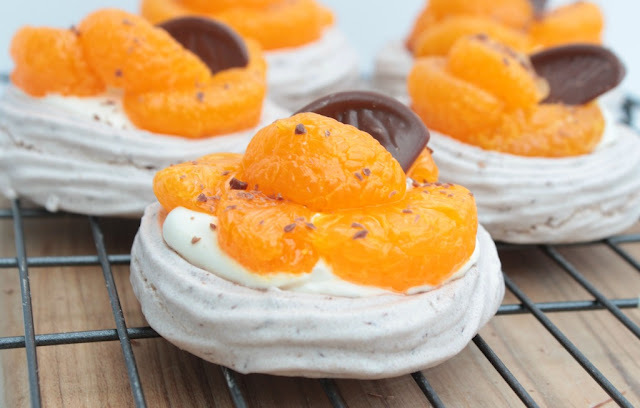 Crunchy chocolate orange meringue filled with cream and mandarin pieces. My boys just wanted to gobble them up. I chose to pipe my chocolate orange meringue nests using a star nozzle. If you want to do the same there are a couple of things to bare in mind. Firstly, you must grate the chocolate. Finely chopped chocolate will clog up the nozzle. Secondly, the higher you pipe the walls, the more likely the nest will crack as it cools. This doesn't make any change to the taste, just appearance. Pre heat the oven to 100C. Slowly add the caster sugar still whisking. Fold in the cocoa powder and chocolate orange. 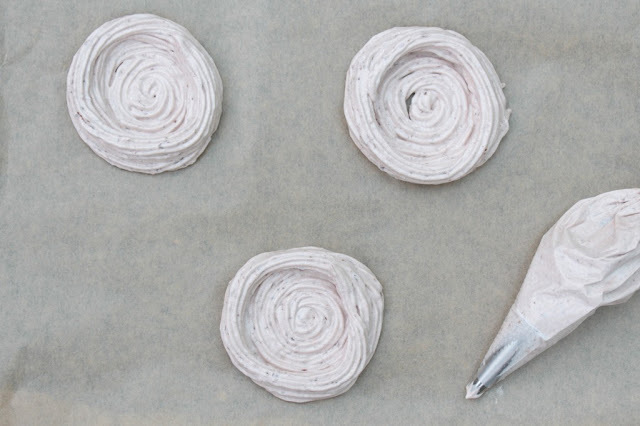 Pipe the meringue nests onto baking parchment. Start in the middle and work out. Whip the double cream until stiff and place a spoonful on each nest. Drain the tinned mandarins and pat dry on some kitchen towel. Place on top of the cream. Cut half a piece of chocolate orange and place it in the centre. Sprinkle a small amount of chocolate orange on top.